Conor Mac Hale is sharing with us his experience with his Leaf. We hope you will enjoy the read and learn from it. Please keep in mind that his opinions are his only and might not be entirely shared by the IEVOA. Being an ex-teacher [that’s OK, I think I’m better now], and having been asked so many times ‘what is it like to drive an electric car?’ or similar, I decided to write a rather long-winded answer that I hope will give some help to people who may be interested. As I am also a history buff, I cannot pass Brown’s Barn on the Naas Road (N7), gliding by in electric comfort, without being reminded how it was to travel in Ireland in the 18th century, when horses provided the motive power. You had to plan ahead [website map! ], bring letters of introduction [eCars charger card! ], and change or rest and feed your horse at public inns or staging posts [re-charge battery at public chargers!]. So, not much has really changed then!!! Except you travel faster and further between stages… And, in case that was not enough, the recent drought and restrictions have also led us, in our house at least, to go back to using basins, bottles, buckets and jugs and carefully measuring our use of water so that nearly every drop is used at least twice… Reminders of the time when buckets of water were carried into the house from a well, and jugs of hot water for shaving and washing were carried upstairs from the kitchen stove… And, our poor car needs a good wash… I even feel guilty topping up the screen wash. In the short time I have been driving an Electric Vehicle [EV], since November 2017, I have been totally converted and cannot envisage myself ever choosing to go back to an Internal Combustion Engine [ICE] again. But then I think I knew that already… Although I am not a first adopter, I am an enthusiast. I hope this essay will be of use to anyone who reads it and wish you well in your travels in Ireland. Go n-éirí an bóthar leat! Ever since I first took my mother’s prized antique carriage clock and wind-up gramophone player to pieces as a kid, in order to see how they worked, I have been fascinated by the science of mechanical devices. Of course, I was really testing them to destruction and I never did get to put those precious objects back together again! At least, not in working order! Although I did try, and even went on to take a science degree later. I was also interested in history and in the history of science, and was fascinated by cars since I became a teenager. When googling the history of electric cars it was a thrill to discover just how far back their history stretched. It can be traced to about 1834, and electric vehicles held the land speed record before 1900 as well as having the first safety seat belts! Being aware of environmental and other issues since the 1970s, I always wanted to get an electric vehicle [EV]. 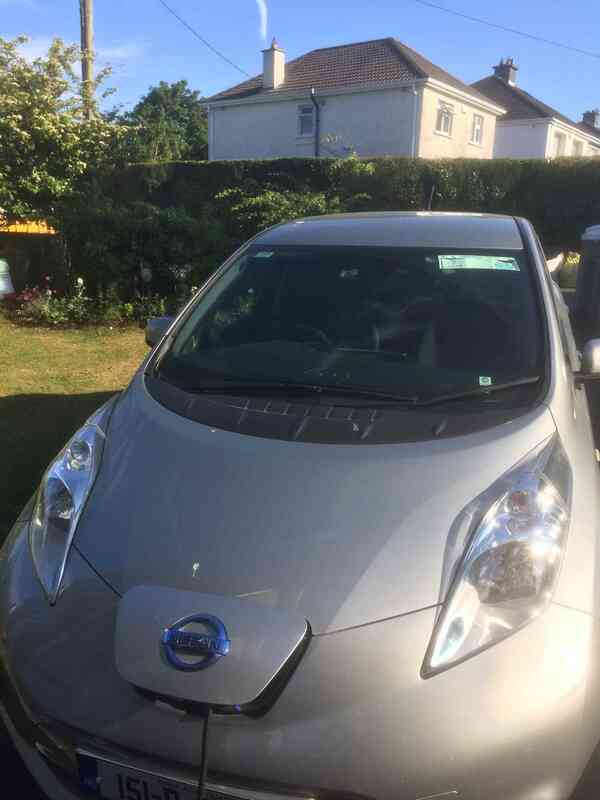 However, the cost was prohibitive until last year when I was fortunate enough to be able to purchase my first EV from Electric Autos in Naas [electricautos.ie]. It was not an impulse decision. My wife and I put a lot of research into our project. We had an ageing Opel Astra which did not owe us anything, and we were aware that we would have to replace it soon, as it became more and more needy. 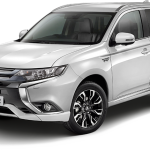 We wanted a family hatchback like the car we had found so useful in the past and decided to limit our search to similar sized cars that were electric. 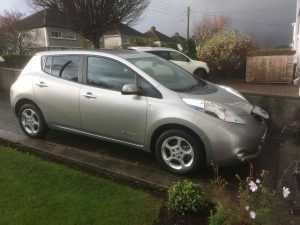 It quickly became clear that we had not got the means to buy new, so a search of used EVs eventually led us to a Nissan LEAF at Electric Autos in Naas, thanks to a mention in the Irish Times. 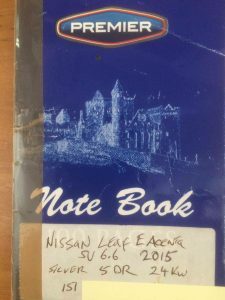 When I learned that the Nissan LEAF had been in production since 2010 I thought that whatever issues there might have been with earlier models should have been addressed and sorted by now. A new generation was advertised [LEAF Gen 2] so I thought we should try and get the best of the current generation [Gen 1] that we could find and afford. This particular 151 LEAF was 24kWh, but above entry level, and it had a 6.6kW charger. It also had very low mileage – one previous owner, two-and-a-half years old, with just under 11k kilometres (or 7k miles) on the clock. Although it was a UK import, it was virtually new, and the price was within our grasp – decision made! 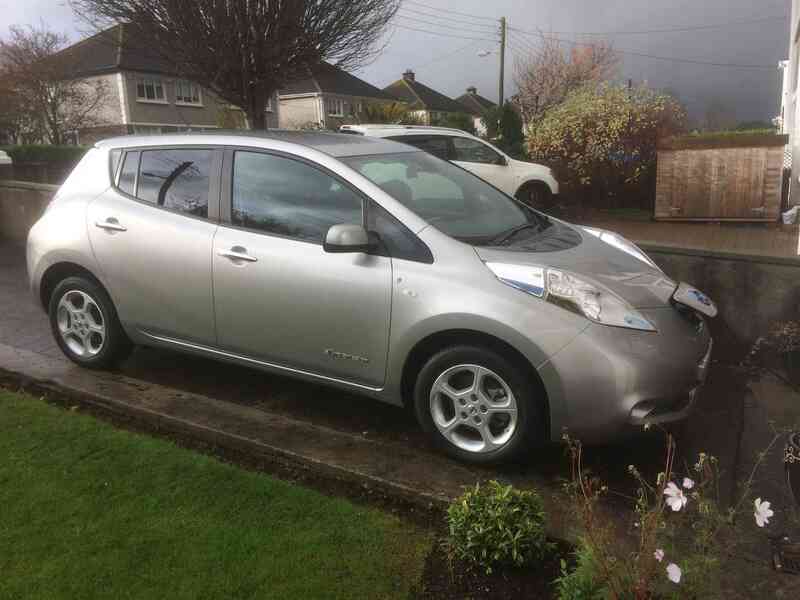 I – 5 – took the plunge at Electric Autos in Naas and became a one in three thousand Irish owner of an electric vehicle [EV]! In fact, our old 04 Astra had been the same age with similar mileage and condition when we bought it ten years earlier – but the price then was €2k more than what we were asked to pay for its replacement in 2017. A sign of the way we were screwed by the Celtic Tiger, I presume! However, that Astra did serve us well over the years – until it began to show serious signs of old age, and needed dramatic surgery or urgent replacement. We decided to call this LEAF ‘Tricia’, probably influenced by a recent advertisement on radio – but we had previously had a Fiat 127 in the 1980s that we called ‘Zoe’! So, I drove Tricia from Naas to her new home in Dublin on 21st November. Living with Tricia has been a great and enjoyable ongoing learning experience! First, I had never owned an automatic car before so it was quite some time before I stopped reaching for the gear stick, particularly at traffic lights. Then I had to train myself not to keep trying to insert a key in the ignition, or reach for the clutch! Apart from that, the luxury of a reversing camera and built-in sat nav interactive map were a delight. The car was also significantly more roomy and comfortable than the ten-year-old model it replaced. The space in the boot was also much larger – no more bags of shopping on the back seat! I had previously driven automatics, and an electric car, but this was a new lifestyle choice! And I have had to become familiar with a new vocabulary too! I can’t see myself ever going back to an ICE car [Internal Combustion Engine]. I have a kind of track record in this tendency – for all of the 1980s and halfway into the 1990s I drove nothing but Fiat 127s, then I switched to Opel Astra and drove several in succession until 2017. So, I tend to be a faithful follower when I find a make of car that I like. 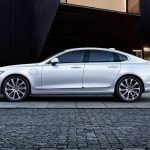 The LEAF lineup is: XE, SV and SVE [in most countries], also known as Visia, Acenta and Tekna in the UK. The SV or Acenta model is in the mid-range, and the one we bought is a slightly upgraded version of that, a LEAF Acenta 6.6kW 24kWh [151 reg]. As far as I can see, the main luxury of the top range is all-round cameras and leather seats! Tricia is an Acenta model. One of the factors in our decision was the boot capacity for shopping and carrying items. The boot space is 370 litres [our 04 Opel Astra had 350 litres]. Tricia has 4 driving modes – D, EcoD, B, EcoB [and Park!]. I quickly came to realise that EcoB was the most useful mode for getting maximum range. I also learned that driving style has an enormous effect – no more boy racer taking off from lights or hogging the tailgate of the car in front and jamming the brakes at the last minute – slow[ish!] and easy is the way to go, to coax the best out of Tricia! That doesn’t mean you can’t drive like the clappers when you want to… we call that driving a la Francaise! But, I usually drive in EcoB mode. I was advised to visit the IEVOA website [Irish Electric Vehicle Owners Association irishevowners.ie]. That and their FaceBook page proved a mine of useful information and tips, apart from a lot of bitchin’ about Iced chargers, eCars network, PHEVs, selfish drivers and chargers that don’t work – so I joined up. Never mind the bitchin’, people are right to complain, its just that at almost any mention of a charger problem, the internet lights up!! I belong to a generation that remembers the pre-PC, pre-internet and pre-mobile days, and it strikes me that we are going through a period very like that when home computers first began to come in. Its heady stuff!! I also applied to eCars [esb.ie/our-businesses/ecars] for a RFID card to use the national and Northern Ireland re-charger network, – 7 – and changed e-Flow tag [eflow.ie] to the new registration number, to make sure my toll charges were applied to the right vehicle. 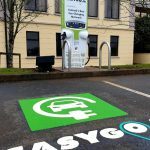 The ESB [Electricity Supply Board], now known as Electric Ireland, was given the task by the government of setting up and maintaining a network of re-chargers to supply support facilities to EVs [Electric Vehicles] nationwide. In fact, they support this infrastructure on the whole island of Ireland. It was developed on an experimental basis, with eCARS website and support service. Recharging facilities are supplied free on a temporary basis – a charge for the service is likely to be introduced fairly soon. 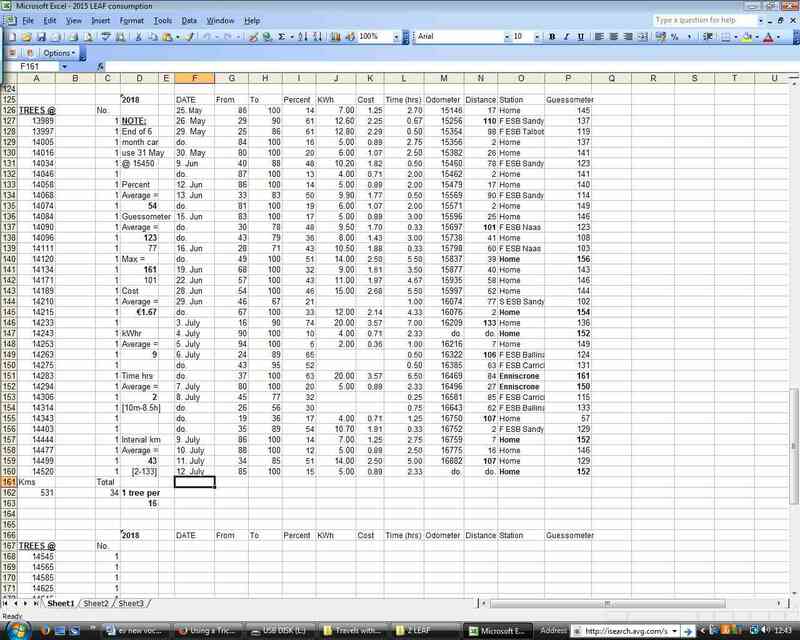 According to MyVehicle.ie website, annual Running Costs for Tricia are €1006, compared to €2732 for our previous car. However, this assumes travel of 15000 km per annum, and we will probably only do about 10k, based on past history, so the estimated cost for Tricia is about €720 [previous car c.€2340], indicating a saving of €1620 per annum. Arrived at one FCP to find it totally out of action, a phone call to eCars produced no result as they couldn’t get response from unit. It was a Bank Holiday Week-end too. But, fortunately, there was a nearby SCP we could use – so, all was not lost – except an extra hour stopover to get us back on our journey. On another occasion an FCP unit refused to recognise my card and switch on. A call to eCars got a remote switch on and off. I have had no great problem with queuing, so far! I usually stay in the car [to avoid parking fee!] and if anyone comes when I have enough charge I normally give way at once, even if I could have added more charge. If there’s enough to reach the next charger or to get me home, then its no great hardship… I try to follow etiquette! On some FCPs you can turn on the car while its charging so you can listen to radio, etc. However, on others you are warned to leave the car switched off – a bit of a nuisance sometimes! Almost immediately I got the car, I decided to keep a record of this new way of life. 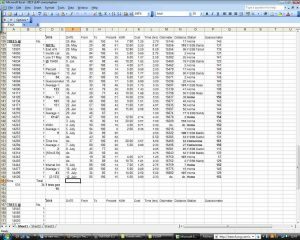 So I got a little notebook and set up a spreadsheet to document expenditure, consumption, travel and any other relevant facts. These are the basis for this essay. 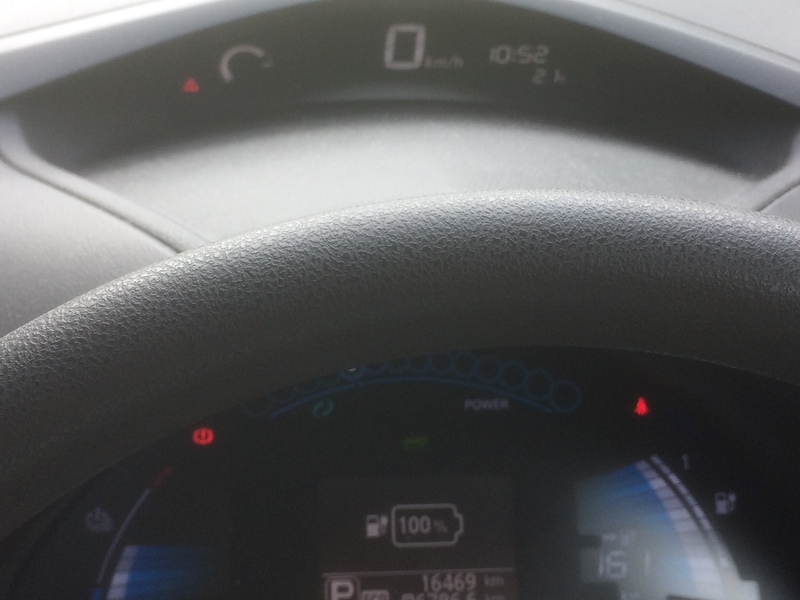 Guessometer [GOM] reading average on full charge 123 [77 miles] highest 161 [100 miles] – I got between 150 and 156 many times when charging at home using Granny cable for trickle charge. The reading when charging from public chargers hovers at lower levels. However, range on GOM drops dramatically once you actually begin to drive the car! Just a reflection of the difference between theory and practice! I am now charging mostly at home, but haven’t noticed much effect on the Electricity Bill, yet. Allow an extra 5 mins or so when Granny cable reaches 100%, before disconnecting, to allow system to adjust. Trees Can Grow on You! Trees are shown growing by sections on screen to encourage you to drive economically – sort of like the rewards in a 1980s computer game. They do give encouragement but are not really very useful. You see them growing or being built up in sections or branches while you drive with the accelerometer hovering about neutral, or when coasting and using regenerative braking. They are reset to zero whenever you turn off the car, and they have to start building again. Range anxiety is a very real phenomenon – do I have enough percent charge in the battery to reach my next charger stop, or my destination? Driving style and planning can be crucial, a light touch of the right foot can make all the difference. Coasting and drafting on long drives are useful tips – but Mind Your Old Mways! Remember that R is for Range – and Route! This brings – A New Awareness of Geography, you get to know every hill and hollow on your route to and from your destination. Travelling on the Back Roads of Ireland has become de rigueur in order to maintain Tricia’s range [Irish routes are M, N, R and L – Motorway, National, Rural, and Link], and this has re-awakened our interest in scenery as opposed to ‘getting there’ as fast as possible… This has brought back nostalgic memories of car trips with my father [and mother!] going from west to east [and back], where the shortest route often turned out to be the most scenic. The distances might be shorter, but the time taken can be significantly longer. However, it is nice to re-visit beauty spots and picnic sites along various R and L routes long forgotten since my childhood. One thing I picked up somewhere was a small screw in one of Tricia’s tyres – the TPMS picked it up as a slow puncture ensued! It even showed which tyre had the problem. A short visit to Atlas tyres [www.atlasautoservice.ie] and an exchange of some euro sorted that! It is certainly true in our case that most of our journeys are less than 40km [25 miles] round trip. The usual stat given is more than 95%, and I think I would agree with that. It depends on your lifestyle and demands on your time of course. 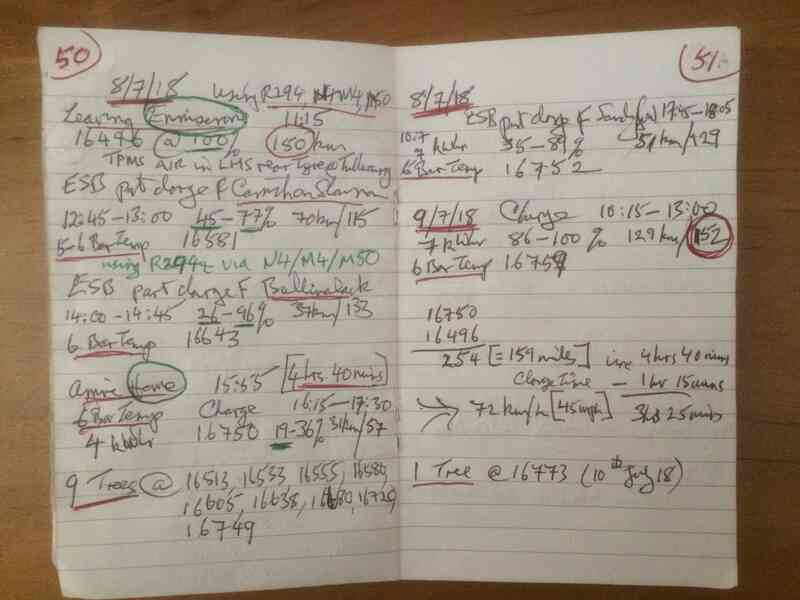 I quickly stopped noting the distance on local trips to shops, etc. 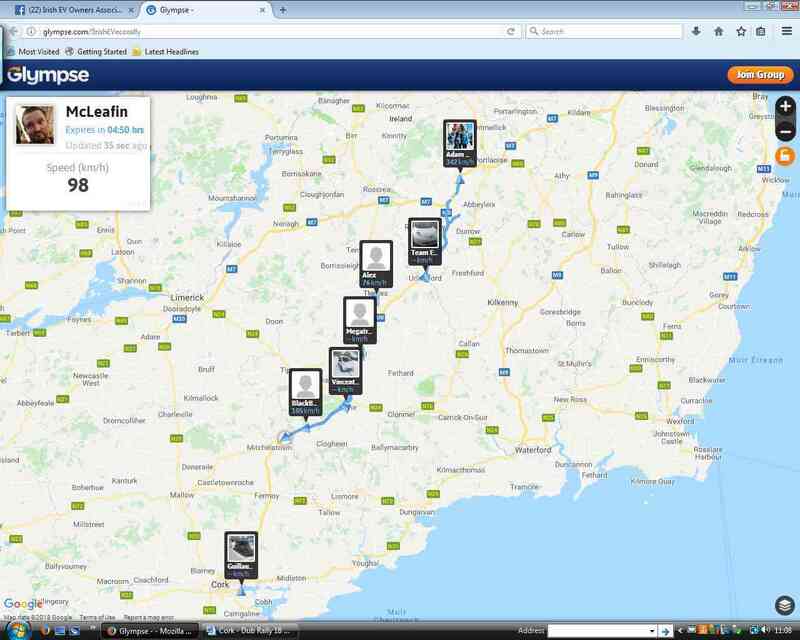 Our longest local trips so far have been to Ballyogan, Belfield, Carrickmines and Rathfarnham. So, now I tend to keep tabs on journeys of more than 50km round trip. Being cautious, before taking Tricia on a long(ish) journey [range anxiety again! 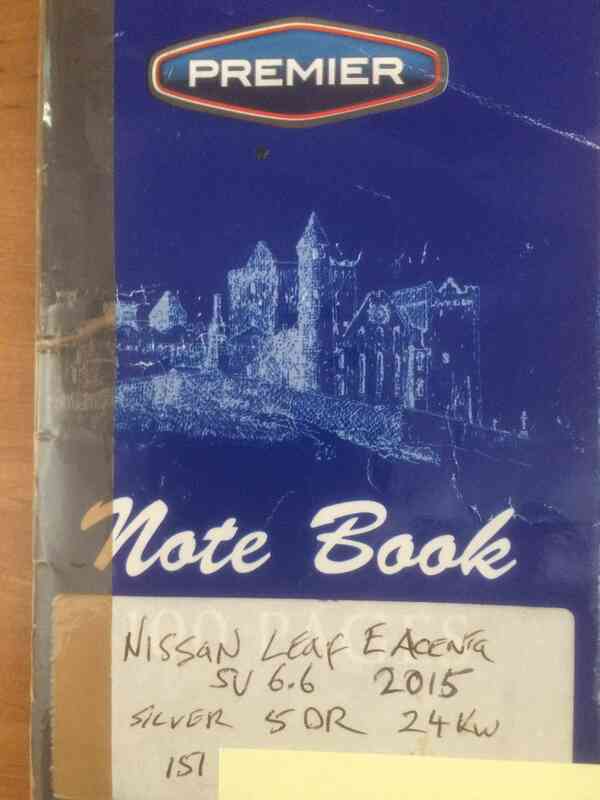 ], I visited Windsor Motors [windsordundrum.nissan.ie] and had an inspection service done. This she passed with flying colours and we had the all clear! Since then, and after travelling to the west several times, our range anxiety has abated. 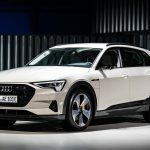 But if we intended to travel further afield in the UK or on the continent, I think we would probably prefer to have a 30kW battery with a longer range between re-charges. For us it is 255km [160 miles] door to door. This has been Tricia’s longest trip so far. We have done it several times. At first, we stopped to re-charge 3 times [at Enfield, Ballinalack and Carrick-on-Shannon, in each direction]. This could lead to the trip taking 7 hours, if something went wrong at a charger – and of course it did! And this did nothing for our range anxiety! But, once we discovered that avoiding motorways [and N roads, as much as possible] led to extended range and less battery demand, we reduced the stops to just two [at Ballinalack and Carrick-onShannon]. We have taken to using the R148 and the R294, as well as the N4. Best travel time so far has been 4hrs 40 mins but I think we can do it in significantly less time than that and still arrive with charge to spare! 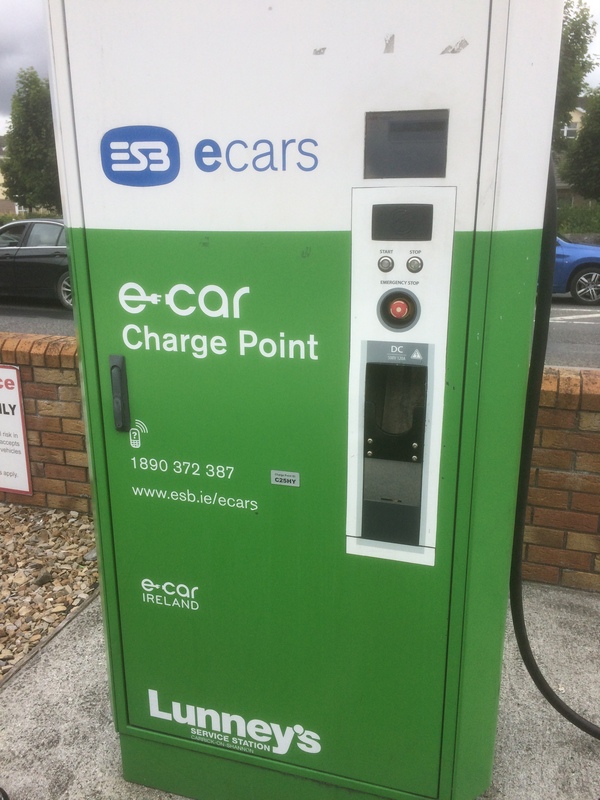 But, until there is a fast charger to replace the redundant SCP at Collooney we will still need to top up at Carrickon-Shannon… There is also an alternative route through Co.Mayo we haven’t tried yet… But our range anxiety has eased a bit now. 53 km door to door. Although I am familiar with many roads in Kildare, the first time I went the maze around Two Mile House meant I had to stop and get directions to where I wanted to go. Next time was easier and I followed the country roads back home again. The M50 / N7 route is quicker, but the country roads are more interesting and save battery! 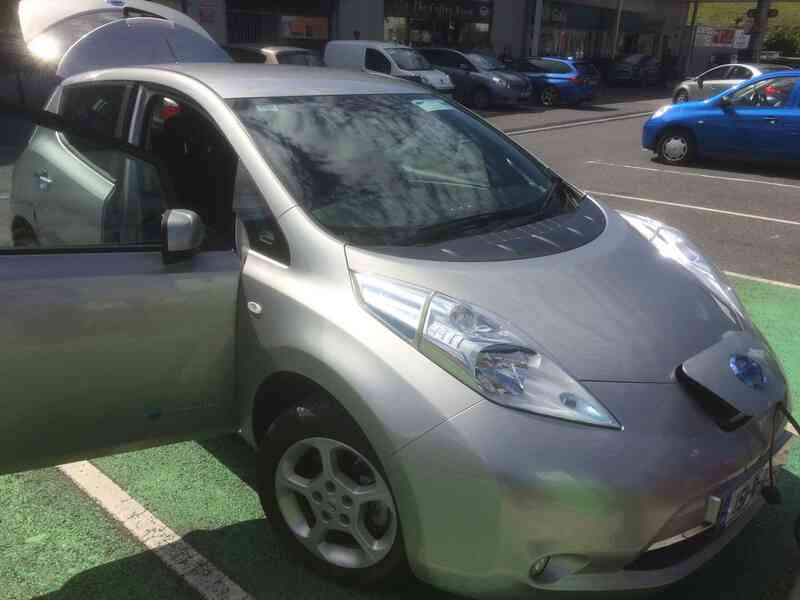 The first time we went there, we used the M50 each way and recharged with Granny cable to return, but it really wasn’t necessary and when we used the alternative route through Swords, Santry and Drumcondra we arrived home with 66% charge remaining. No problem! There and back on the M50 is a breeze, and even better following a route through town, although that can add 15 mins to the trip [each way], depending on traffic. I have driven on the M50 in both D and EcoB mode, about half an hour per trip. M50 there and back – no problem in 25-30 mins!! The nearest fast chargers to us are situated at Sandyford and Stillorgan. I have brought Tricia to each of them several times and they have usually been available and working, but I have noticed a marked increase in demand – even since November, 2017. We have been lucky so far with no great problem at either place. I tend to visit a fast charger to charge between 20 and 80 percent and then I charge to 100% at home, using the Granny cable. We bought Tricia as a used EV when the only charger grant available was for new cars, and just before the rules changed and a grant became available for used cars. So, we depend on the Granny cable and don’t have a home charger – yet! One of the first chargers, at Collooney, has long been out of action. The fast charger at Ballinalack is on a plinth and positioned to face into the sun. This means it is very difficult to read the information screen. You need to be a bit of an acrobat and have A1 vision to read the screen, especially if you forget and park too close to the plinth! The instructions are on the side of the charger, at least two feet over your head, when you are standing beside the car, so these are equally difficult to read. 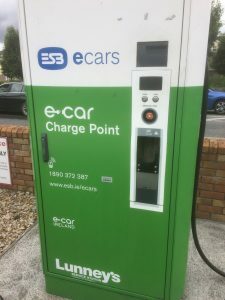 The same instructions are on the fast charger at Lunneys in Carrick-on-Shannon, where they are much more easily accessible – but they are no longer fully relevant to that charger, as the connector there has obviously been changed since it was first installed. At Ballinalack, there is a lever on the underside of the connector – which you cannot see when looking vertically downward at the device when it is connected to your car. You must pull this lever upwards to lock the connector in place before charging, and press a button before pulling it down to release the connector when finished. It works fine when you get the hang of it! – First come, first served! – Give way when you have topped up enough to reach next stop. 1. 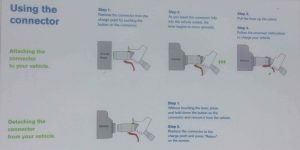 CHADEMO: this connector is used to charge the Nissan LEAF & Mitsubishi cars such as i-MIEV and OUTLANDER. 2. CCS COMBO: this connector is used to charge the BMW i3 and the VW Golf. The Hyundai IONIQ also needs to use this connector. 3. AC 43: at the moment this connector is used for the Renault Zoe. It may also be possible to charge a Tesla S using this connector. Ever since I read about the long haul trip by an electric car from Alaska to the southern tip of South America in 2010, I knew the electric car was coming within reach – and I wanted one! 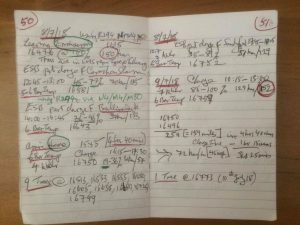 Of all these trips, only the one to Bordeaux ran into some insurmountable problems, but they did get there. 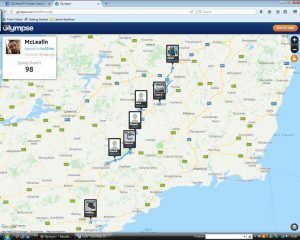 On Sunday 27 th May 2018 the IEVOA organized an informal rally from Lucan to Rochestown in Cork and back to show how EVs could perform on a 540km round trip. I don’t think there were any professional racing or rally drivers amongst them so the results are impressive, given that they include waiting and charging times. Some of the cars arrived at chargers that were not working and had to divert to alternatives, which added to the trip. The best time was twice as fast as my slowest trip to Enniscrone with Tricia, about half the distance! Congratulations to all who participated and supported the rally. Building Trees – a sort of diagrammatic Xmas tree slowly built up branch by branch on screen to encourage you to drive in an eco-friendly way. They are like the rewards you get in a 1980s style computer game. You can get up to a maximum of 5 at a time, but they are automatically erased when you switch off, and you have to start from scratch again! 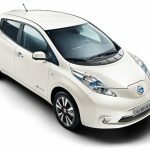 ECO-B / ECO-D There are 4 driving modes in the LEAF: B, D and Eco[nomy] or environmentally-friendly version of each one, as well as PARK! Turtle mode – when your LEAF gets seriously low on charge a little turtle appears on screen to warn that you have only very limited 5km or so left in battery to find charger, but you do get plenty of warning before this happens! It hasn’t happened to me, yet! But I always keep a Granny Cable handy, just in case.